The Cagiva Mito is pretty equal with the Aprilia RS125 when it comes to power and performance, but the ace up it's sleeve is it's mini Ducati 916 styling. 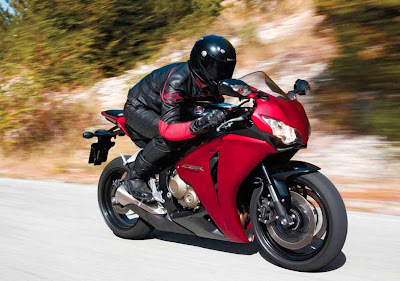 The Cagiva Mito's handling is razor sharp, it pretty much goes where you think and the limit is the road and rider. In the right hands the Mito is an elbow-down scratcher and the focused riding position reflects this. The steering lock is poor too, so it's not the best bike to take your test on. 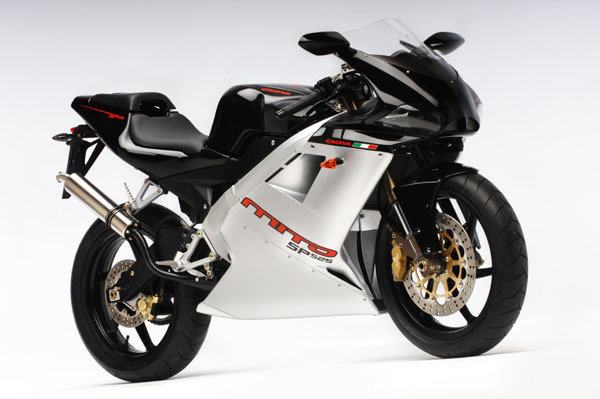 If you want Mito fun with a bit more practicality, consider the gorgeous naked version, the Cagiva Planet. 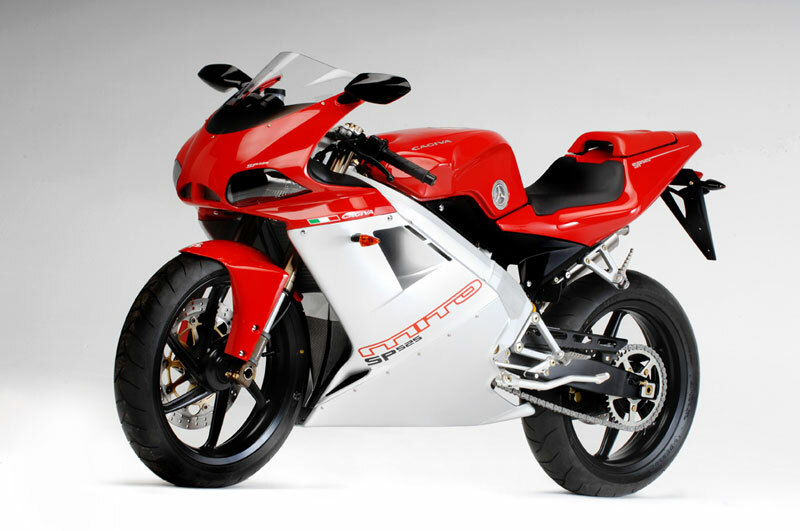 Most Cagiva Mito's will have been owned and thrashed by teenagers, so buy with caution. Make sure you get a full service history and that the bike has been run on quality 2-stroke oil. Build quality and electrics aren't up to much, so make sure you check up close and flick all the switches. 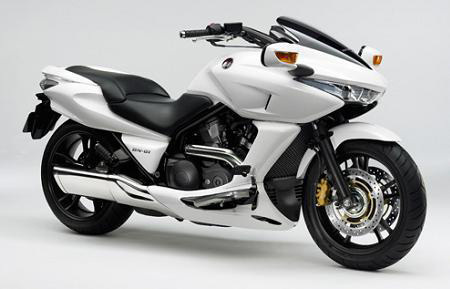 If it senses the pressure given to either front or rear calipers is too high, and likely to cause wheel lock, then it will cleverly send some of that pressure to the other end of the bike to distribute the stopping more evenly.HondaCBR1000FirebladeYou can sense this pressure re-distribution occurring very subtly even on loose or slippery surfaces. 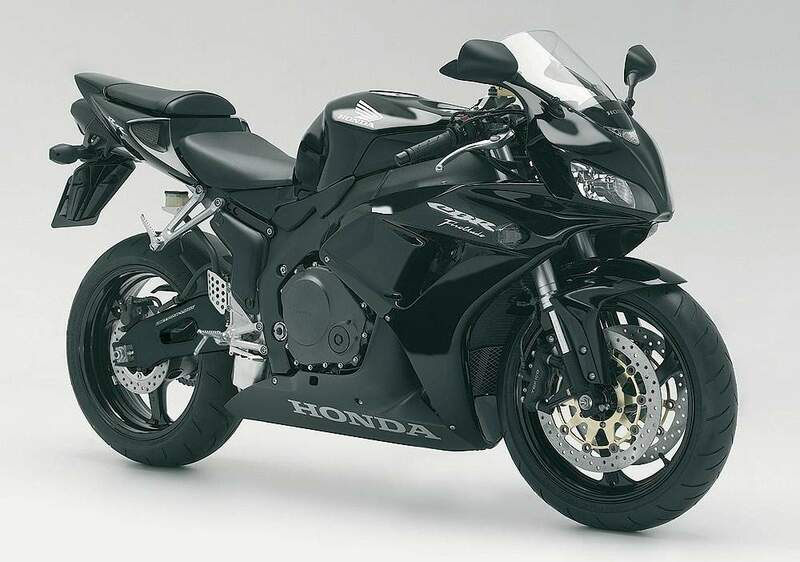 And unlike many ABS-equipped bikes that give a high frequency pulsing effect at either the lever or foot pedal, as the pressure is released and then re-applied, the Honda's system exhibits no such cadence braking effect. It's both effective, yet unobtrusive, and is in my opinion a must have. There is the option of a standard version of the bike with a conventional braking system which costs ?1500 less. But I'd go for the extra expense of the C-ABS model every time. I'd view it as insurance against bike or rider damage that could easily end up costing a lot more than the difference between the two bikes. Every single rider makes mistakes now and then, and if those errors can be dealt with in the way the C-ABS manages them, then as far as I'm concerned the choice between the two bikes is a no-brainer really.Beyond the brakes, the rest of the two Honda's specification is pretty much identical, and worthy of plenty of praise too. It's the combination of the parts as a whole that impresses most of all. 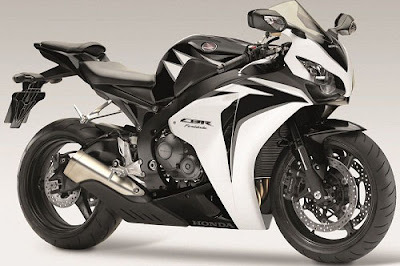 And though the engine and chassis are both superb in their own right, it's the way they and everything else blends and complements each other so well that gives the Honda its 'just right' package and special feel.Honda CBR 1000 FirebladeThe CBR is compact and physically smaller than the other Japanese superbikes, though it's not cramped in any way so everyday use and longer runs can still be entertained. But more importantly, its diminutive size gives the Blade an easy feel to it, making it very agile and flickable. Of course it's more the actual chassis geometry and weight that account for this, but there's nothing quite like small and slim dimensions to make things seem this way.On top of that, the overall balance of the bike and the action of its excellent suspension also helps to give the Honda remarkable poise and superb feedback. It really does seem like an extension of yourself and something you feel totally part of. And it doesn't matter what speed you're going either, trickling through town, or running as fast as you can on either road or track, the result is the same. The exceptional agility has no down sides either with any potential flapping from the steering dealt with immediately by the electronic steering damper which increases its effect the faster you go. 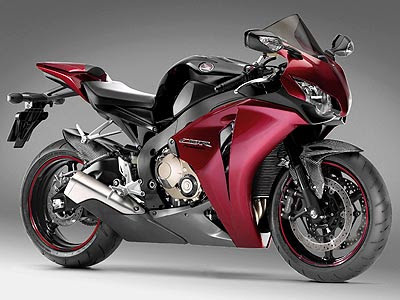 I'd stick my neck out and say the Blade is the best handling of all the Japanese superbikes.The engine's up right up there with the best too, though I personally do prefer the new R1's power delivery. Even so, apart from some slight wooliness at very low rpm which is less evident when it's cold, just like the chassis the motor has manners that really assist the control of the bike. The delivery is smooth and linear and the more power you want, the more you need to rev it closer to its 13,000rpm redline. It's as simple and straightforward as that. 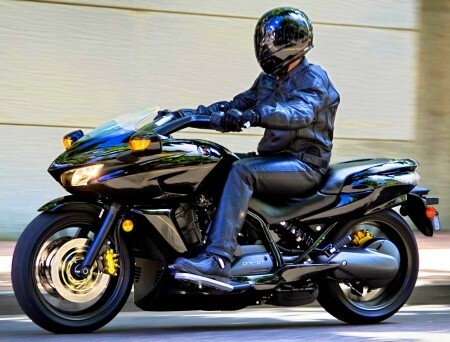 2009 New Honda DN-01 .V-Twin motor Feet-forward riding placement Attention-grabbing look? Check.A dab of sportbikeThe DN-01 is actually a peculiar concoction: two areas scooter; a single component cruiser; and one part sportbike. And if you will need to journey a scooterish motorbike in the course of Bike Week, this new Honda matches appropriate in by standing apart, as we found out by cruising A1A and Major Street all around Daytona last week. 2009 New Honda DN-01Say what you will about purity, historical relevance, aesthetics or bling, riding throughout Bicycle Week is all about obtaining attention from fellow riders and bystanders. Trundling along down Main at a sub-walking pace on a Chevy V8-powered motorcycle can make no other sensation. And in this respect, the DN retains its own in Daytona. The DN-01 caused very a stir wherever we went about Daytona’s Bicycle Week. Riding the DN couldn’t be easier. 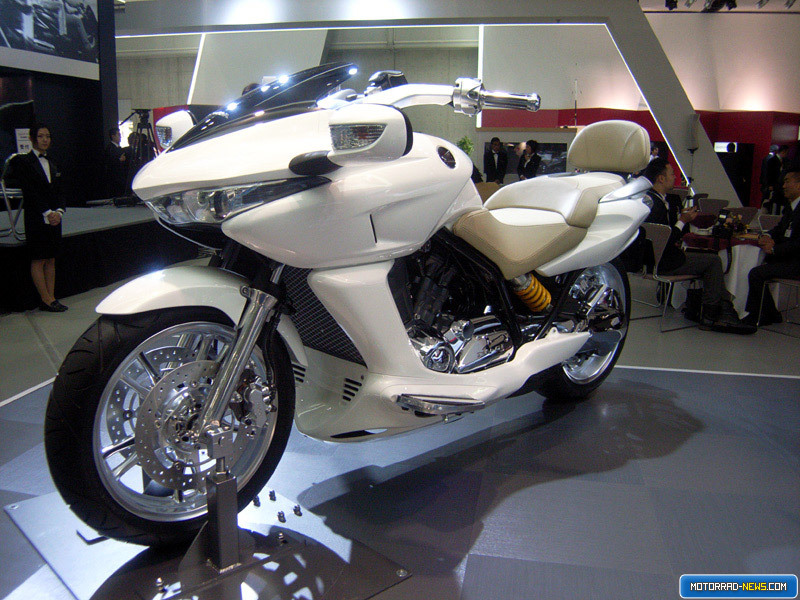 It is driven by a 680cc, 52-degree V-Twin borrowed through the European-market Transalp. Although it's roots towards the late-1980s Hawk GT, the SOHC, 4-valve motor is thoroughly modernized using a sophisticated fuel-injection system making use of dual 40mm throttle bodies and high-tech 12-hole injectors.